Norway, the north of the north or the Mysteries of the practice. In this moment I´m in Lyngseidet, Norway. I have the time to deepen my practice surrounded by the ocean, mountains, snow, forests and awesome people. I feel inspired. If you asked me six months ago about my future I would never answer about this journey to the north part of the planet. And would have tell you that I was not able of leave “everything” just to be here, now. But here I am walking up mountains, learning about new things, feeling the cold in my face, the warm in my spirit, completely alive. A few weeks ago I felt that my practice was in a place with no much energy and I wanted a change. Also my left hip hurt a lot after this eight, ten hours car trip we did from Sweden to Norway. My practice, as my life, was starting all over again. And that feeling of low energy or disappointing sensations that the new injury brought was the reflex of my inner state, a state where I was saving energy for been able to meet all the practical changes in my life. Now that in some ways I´m more settled down, I realized that my practice went to a deeper place. Because even though it never was just a physical practice now, more than ever I can feel my practice in every other aspect of my life. It is not that I’m constantly reminding myself the principles of yamaand niyama, or meditating more hours than before, it is something internal, natural. Feeling alive into the present moment because my life changed so much -so fast- that today more than ever my conscience/ inner self /my body feel lightbecause the future is wide open occasionally washed by the waves of my present actions. 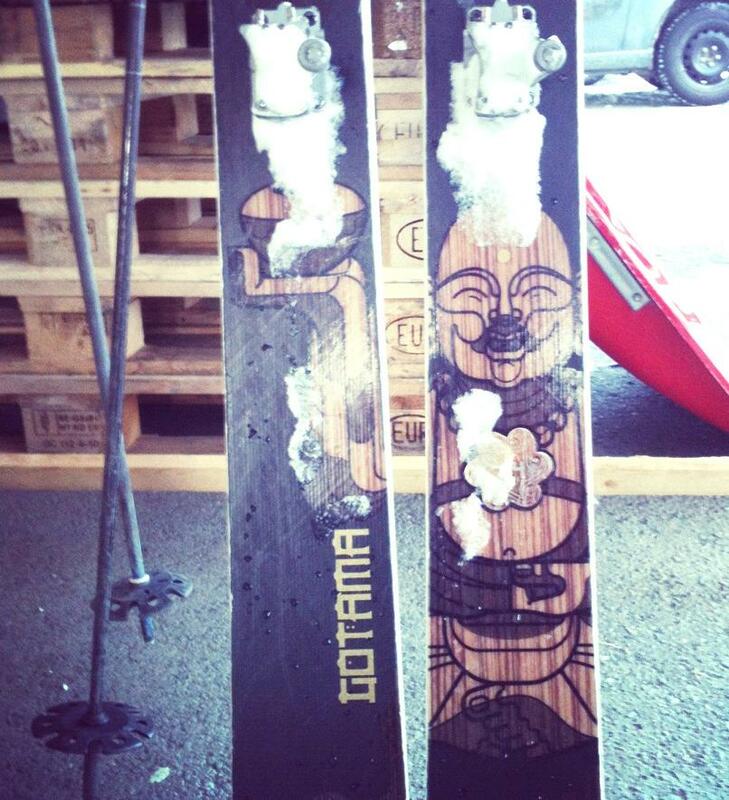 Buda on skis / and everywhere else.